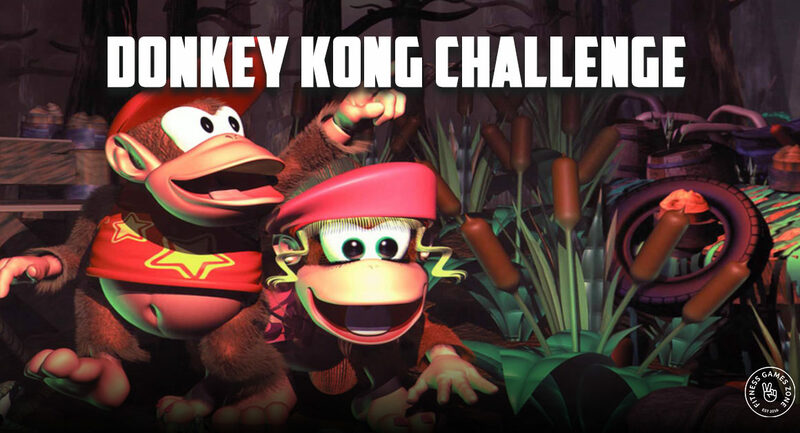 It didn’t matter if you loved Diddy Kong, Kranky Kong or Donkey Kong. Growing up collecting bananas and trying to complete as many levels as I could on the retro video game Donkey Kong was something I loved. What was your favourite video game growing up? Mario Kart, Pacman, Tetris, Mortal Kombat? If I have missed any off this list, please hit reply and send them through to me, as I am on a mission to create as many retro video games into movement and learning games. Just like the games we have mentioned above, today as a special giveaway, yes that’s right, we haven’t given away a game in a long time, so here it is for you. 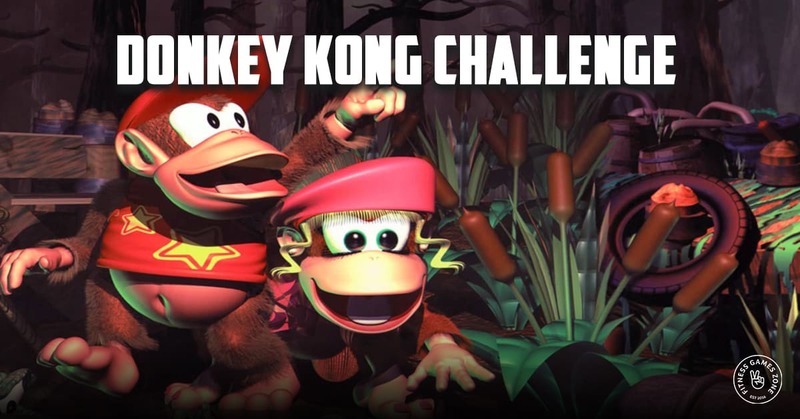 Donkey Kong Team Challenge. Watch the video below as I explain this epic team building movement challenge. Once you have watched the video, you can click on the link below and download the game for free. All the games mentioned above are also on our Fitness Games Zone site, just like Donkey Kong, ready for you to play and enjoy. Printable PDF’s, video instructions and everything you need to play the best movement games ever created. We have sold 22 of the 30 Black Friday yearly subscriptions at 60% off. That’s a crazy low price of $39 USD for everything. When you click to purchase, use the code ‘BLACKFRIDAY’. We only have 8 left at this price. 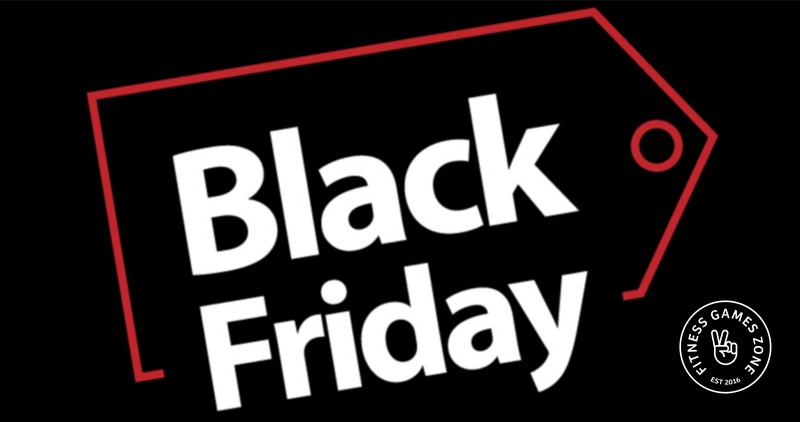 Click HERE to take advantage of this crazy Black Friday deal. Here is a link to secure one of the last 8 yearly subscriptions. Once they are gone, we will not be having any more sales like this. That’s one year’s access to over $1500 USD worth of eBooks, learning courses with certificates and 600 plus printable games with video instructions. P.S.S. If you entire department wants access at the insane 60% off price click HERE. Happy Monday everyone, I know it has been a little while since we last communicated. However, the wait has defiantly been worth it. Today is a special day, and it’s going to be a special week. With Black Friday approaching this week we thought it would be only fair to create a crazy deal that will blow your socks off. Yes, that’s right we are offering everything we have ever produced in games, activities, courses, eBooks and videos. The deal is only available for the first 30 people though. We have had to cut this as this deal is going to go fast and it’s a bargain. Before reading anymore be sure to watch this video as I explain what you get as a Member, and how good the site is. If you love Netflix and Stan, then you are going to fall in love with the Fitness Games Zone. As we have created the Fitness Games Zone, in similar easy to use one stop shop for all teachers and trainers. Back to the Black Friday deal. This gives you access to everything we have ever created. Yes, that’s right EVERYTHING. For this week or until the 30 licences are purchased, you will receive 60% off!!! 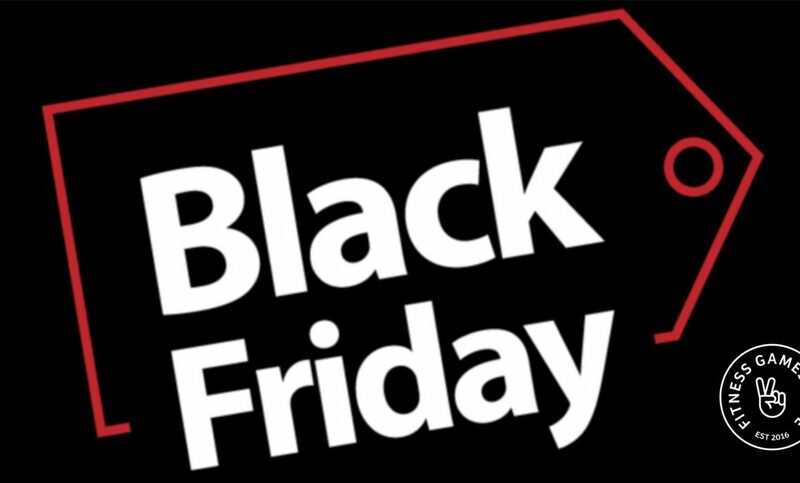 The code to use when checking out is ‘BLACKFRIDAY’, and you can use this for department access which is crazy value, lifetime access or our single license. Join the hundreds of teachers and trainers who are saving hours of time, with our fantastic movement, fitness and learning games. As well as our online courses so that you don’t have to leave your house to rack up your professional development hours. 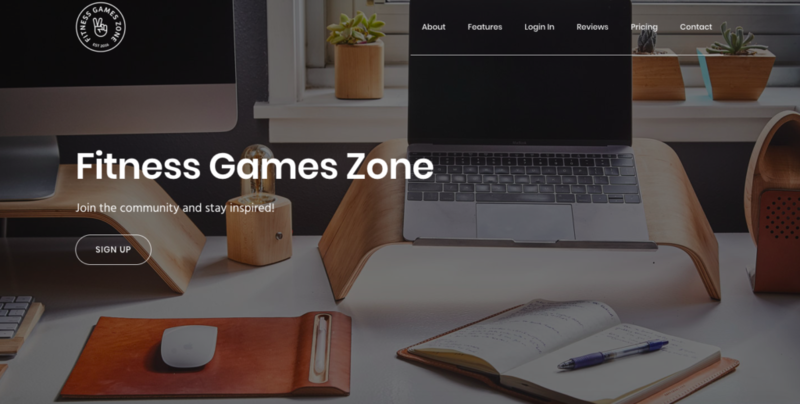 Click HERE to view the Fitness Games Zone site. Click HERE to jump straight to the checkout and secure one of the 30 licenses at 60% off!!! P.S. This deal is crazy; you seriously can’t afford to miss this tremendous Black Friday bargain. P.S.S. We also have another FREE webinar this week, so be sure to sign up and join me or watch at a later date. I will discuss 23 of the best bodyweight challenges that I use with students and clients to get them moving, having fun and motivated to love fitness. They are perfect as you can complete them anywhere. Click HERE to join. P.S.S.S. 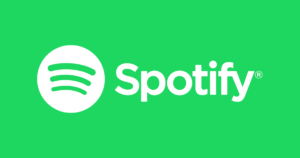 Finally, if you have missed out podcast lately we are now on Spotify, you can click here and listen to some of the outstanding guests we have had on the show. Click HERE to listen to our 100 plus episodes. Whenever people hear music it makes them want to dance and also puts a smile on their face. This is a true fact, as music is a universal language. Over the past four years, we have created 40 plus musical workouts, that have been huge hits with teachers and trainers around the globe. We often get asked which ones are the best, or what would you use in this situation and so on. 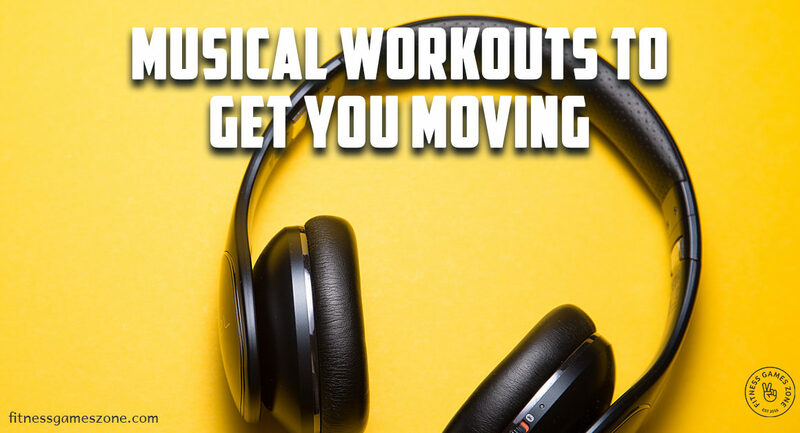 We have decided to create a webinar with our top ten musical workouts. Yes, that’s right we going to put them all in a fun webinar where you will be moving and learning at the same time. The songs we use are perfect for starting or finishing a session, as well as using them for brain breaks and energy breaks throughout the day. Join Dale as he brings the energy big time in this FREE webinar. 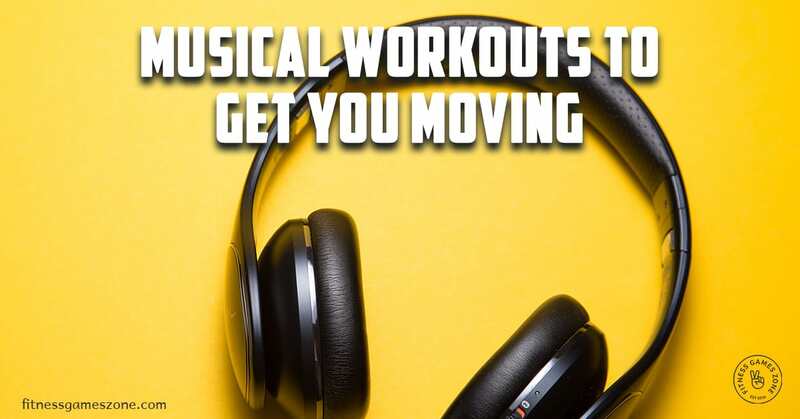 To check out the full range of musical workouts and the other 600 movement games you can do so HERE at the Fitness Games Zone. We have created a short introductory video to explain what the site has for all teachers and trainers. 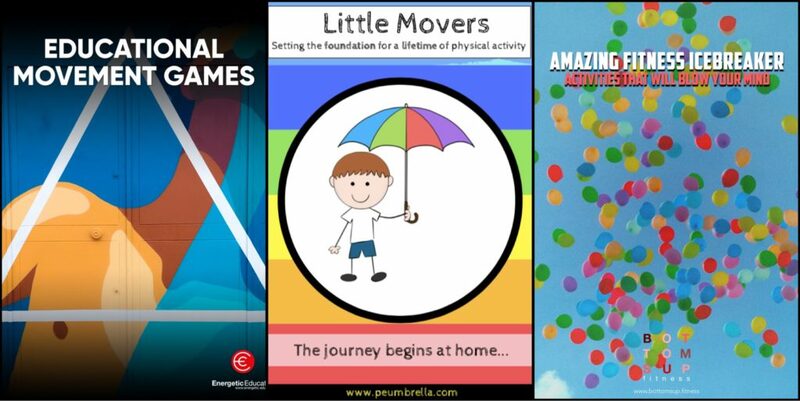 Over the past four years, we have created over 600 movement and fitness games, session plans, workouts, eBooks and professional development courses. To celebrate hitting the 600 plus games, we’re giving away 15 games in 15 days! 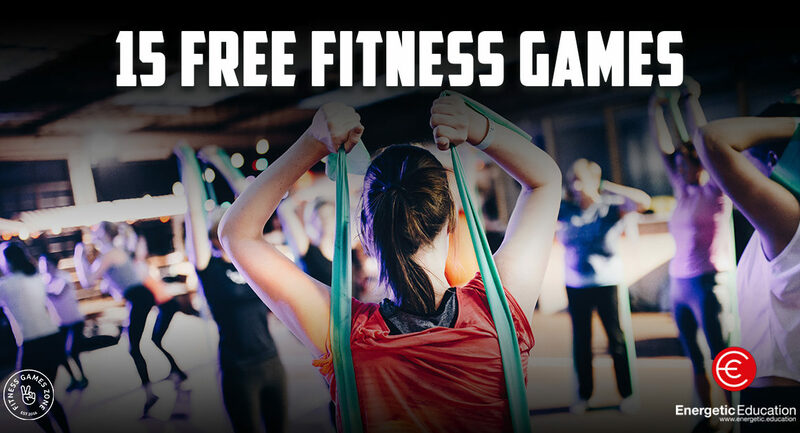 Yes, that’s right, you can receive one of our Fitness Games Zone hot hits for FREE for the next 15 days. As we want to bring the fun back into fitness and have everyone moving and enjoying the play aspect of our movement games. This giveaway entitles all of our followers to experience our exclusive Fitness Games Zone for FREE. By simply signing up you will receive a daily email and printable PDF fitness resource of our top 15 activities and games. This offer is for a limited time only. So sign-up below and experience for yourself our amazing games and resources. 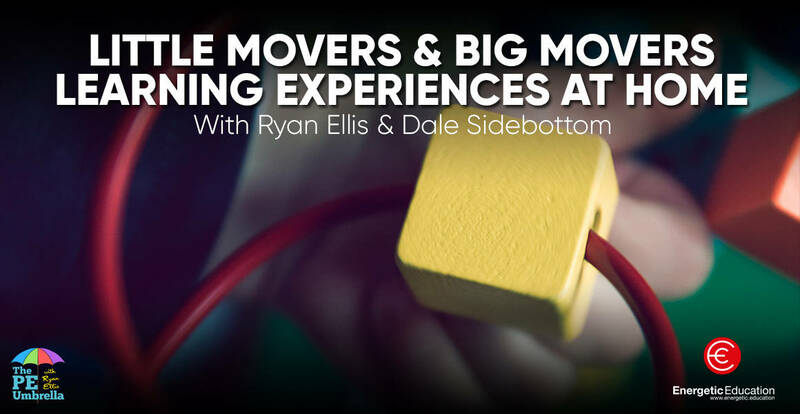 Join Ryan Ellis from the PE Umbrella and Dale Sidebottom from Energetic Education as the two play and movement games specialists join forces to create one of the most unbelievable bundle’s you have ever seen. Before you read below, you can watch Ryan and Dale explain the games, the excellent graphics and the concepts that will have little kids and big kids jumping out of their skin with excitement. The eBooks alone will sell for $69 each after this crazy seven-day sale. Take advantage of this first-time offer from Ryan and Dale and secure both eBooks with full resources as printable PDF’s for just USD 29. Yes, that’s right only $29. As well as the two eBooks with the 20 educational movement games you will also get Dale’s latest fitness based icebreaker games eBook valued at $69 as well for free. This offer is only available for the next seven days and once the week is up the price will go back to the regular price of USD 207 for the bundle. Buy today and not only will you gain access to these fantastic new movement games, but you will save a whopping USD 178. On Friday I did something that I have never done before, and that’s open up about personal issues that I have had over the past few years. Talking about hitting rock bottom and how my life sucked. It was all my own fault as I had not listened to my body and to be honest I was chasing happiness in all of the wrong places. If you would like to read this, you can so HERE. Now the reason for this extremely personal email today is that the response I have had from people who have been suffering as well or going through a tough period in their lives has been mind-blowing. It just shows that people are so good at hiding and masking issues, and putting on a mask that makes everything look alright to the outside world, as this is precisely what I did. 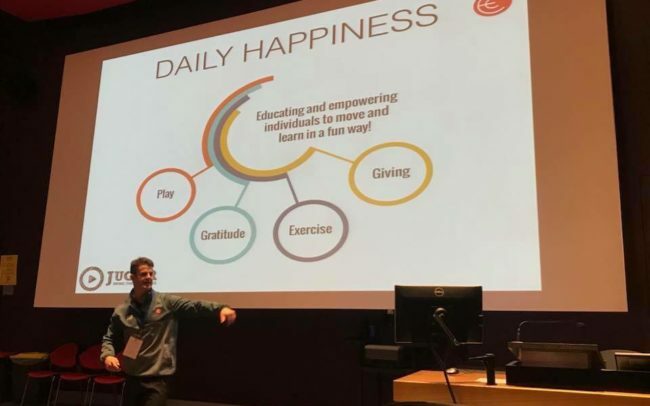 The last two Friday’s were huge for me, as I had two keynote presentations at different education conferences in Australia. Now I usually never talk about myself, but I spoke from the heart and told my story for the first time about hitting rock bottom, and how I was so unhappy it wasn’t funny. This is something that I have been nervous about for a long time, as I am usually a private person, but this was telling it all to strangers and anyone who would listen. If you are going through a tough period or life seems to be unfair, I found that working on four key ingredients every day helped me. And that’s what I spoke about, having play, gratitude, exercise and giving in each and every day. You can read an extract here from the Tasmanian paper about my message. Click HERE to read the article. 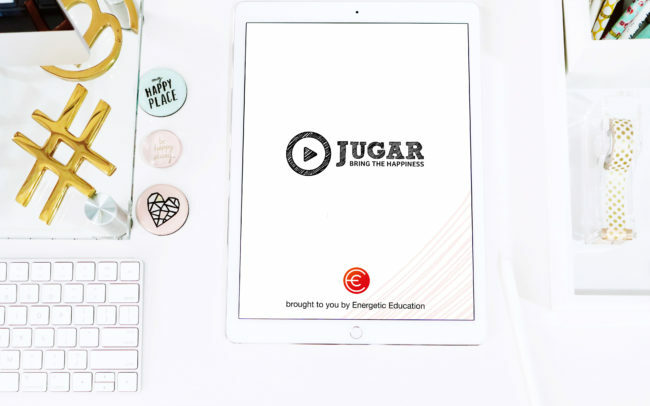 Two things have come out of the last three years for me, the app I created Jugar Life which was designed merely for me to use and take control of every day. The most fantastic thing about this now is that teachers are using it with students to start the morning off in class, and also using it at the end of the day to reflect on everything that has happened during the day. It is with great pleasure that we announce our 600th game has just been uploaded to our community hub, Fitness Games Zone. This is something we have been working very hard on for the past three years. One platform, where teachers and trainers can access a library of resources. This has been referred to as the Netflix of movement and fitness games. 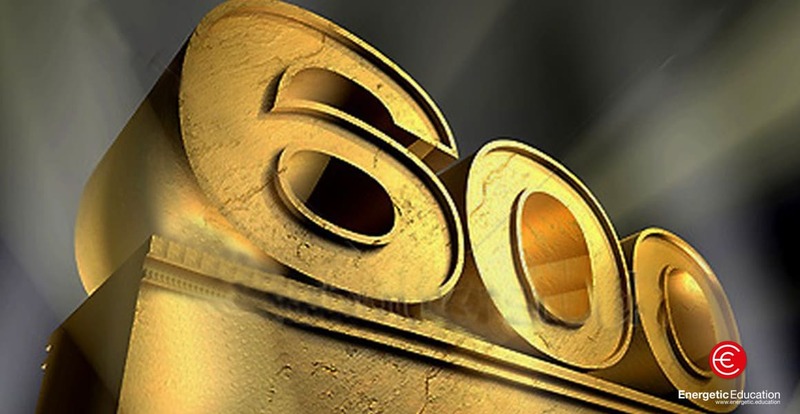 As a celebration of this milestone, we are offering the first 60 new subscribers 60% off memberships and department access. We are not sharing this with anyone else, this is simply for our loyal followers only. If you haven’t checked out our hours of professional development courses (all with certificates), or our lesson randomiser that creates session plans, then now is your chance to receive all of this at our heavily discounted price. This offer will only be available over the next 24 hrs unless 60 memberships are sold prior. To purchase this celebratory offer, simply click on this link to purchase HERE. This is the ultimate deal for individuals and full faculties as you will gain access to the largest movement and fitness games database in the world. 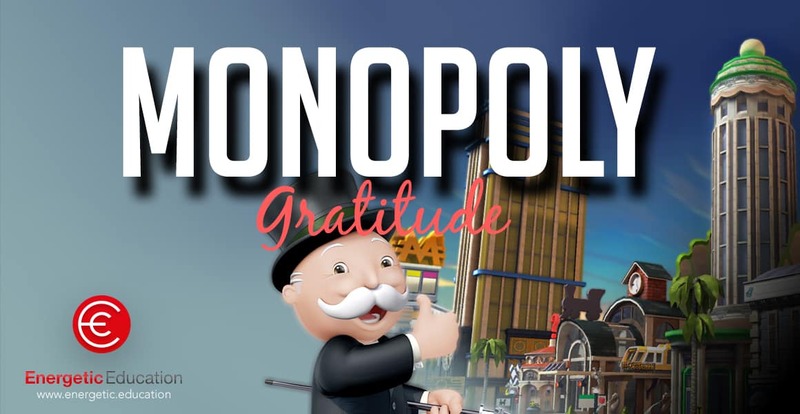 Gratitude Monopoly FREE for everyone!!! This is game changing, yes that’s right we are giving this concept and game away. Why do you ask? The reason is simple; this game is having outstanding results with students, teachers and workplaces around the globe in every workshop we have run this year. This being said, we can not physically run a workshop for everyone in the world, but we feel this game has so much potential to bring happiness and joy to peoples lives that we want you to take it and use it for free. Our goal is for this game to be a household activity that is played weekly. Simple instructions, watch the video above and listen to the podcast HERE. 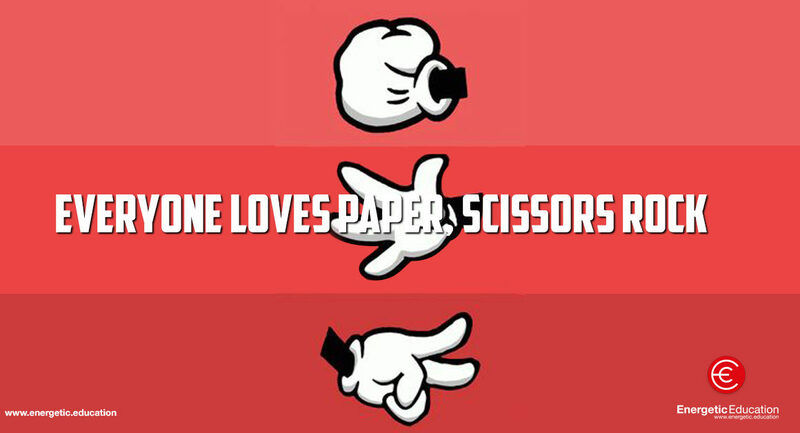 Paper, scissors, rock or rock, paper, scissors. Whichever way you say it there are no boundaries to the possibilities that this old classic can have in your classes daily. Some of you might use this to solve any problems or to finish an argument. Others might use it to teach students a game where problem-solving, strategy and critical thinking are involved. 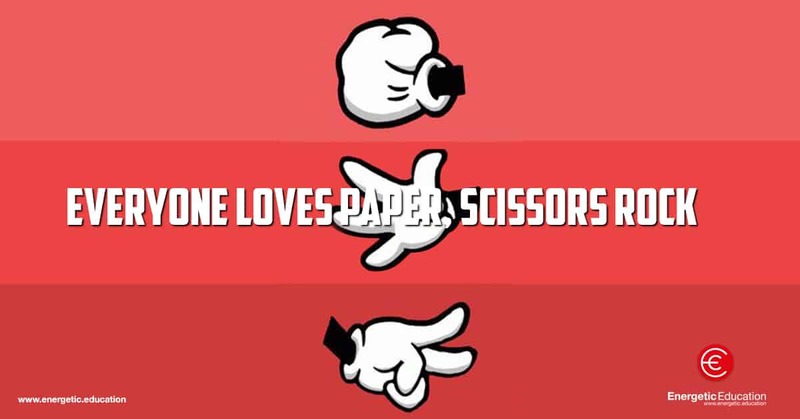 The beauty of using paper, scissors, rock in your class is that there are no boundaries. It is a superb activity that I have used with students of all ages inside and outside of the classroom. The list I have put together below are my top five activities that involve PSR. I am sure that other teachers out there have many more that I have not heard of and I would love you to share. These education breaks can be used with students of all ages. If you have any questions or other activities that you use PSR for I would love to hear from you. Please leave a comment below. Two players face each other and simultaneously throw out one of the following hand signals: rock, paper, or scissors. Rock is formed by making a fist. Rock “beats” Scissors, by blunting the blades. Rock is beaten by the signal for Paper, as Paper wraps up Rock. Scissors is formed by horizontally extending your middle and index fingers (a sideways peace sign). Scissors “beats” Paper by cutting it. Scissors are beaten by Rock, as Rock blunts Scissors. Paper is formed by holding your hand out straight, with the palm facing down. Paper “beats” Rock by wrapping it up. Paper is beaten by Scissors, as Scissors cut Paper. Generally, each player holds one hand out in front of their bodies, and they simultaneously chant, “One, Two, Three, shoot” and on “shoot,” both players display their signal. The player whose signal beats the other wins. Description: This game is also known as paper, scissors, rock train. Students move around and challenge each other to a game of paper, scissors, rock. The winning student continues to play the game; the losing student has to put their hands on the winner’s shoulders and follow them around like a train carriage. The aim of the game is to be the last student left with all the other students behind you like carriages. The winner is then called Alex the Kid. Description: Split the students into two equal teams. They get together in their teams and decide that the team as a whole is going to play ‘rock’, ‘paper’ or ‘scissors’. They then ‘face-off’ at the centre line of a gym or field and on the count of three they play their rock, paper or scissors. Remember, paper beats rock, rock beats scissors, and scissors beats paper. Whoever wins then chases the other team to the end line of the field or gym and catches as many people as they can on the way. Those that are caught now join the other team. The game continues until all the players from one team are caught. This game is suitable for all ages. Description: Evolution is a variation on rock, paper, scissors. Everyone in this game starts off as an egg and makes a funny noise. After the egg is the chicken, which makes a funnier noise, then a monster with a funnier noise still and last of all is a human who doesn’t make a noise. The aim of the game is to get from being an egg to a human using rock, paper, scissors. If you are an egg you must find another egg, and play rock, paper, scissors with them; if you win, you then turn into a chicken and so on till you become a human. The game also works the other way around. If you are a monster and you lose, you then become a chicken. Description: Students start the game with a partner in their own space. Each pair then plays the best of three rounds of rock, paper, scissors. The losing student then goes off to the side and waits for the student who beat them to be beaten themselves. The winning students continue to challenge other students. When they are finally beaten, they stand on the side, and all the students that lost to them are free to join the game again. The game is continuous, and the only way you will have a winner is if one student beats every single student without losing. It is a great game that will keep students occupied for a long time. Description: Start the game by splitting the class into three even teams. This game is played exactly how a normal game of rock, paper scissors is played. Just like the standard game, Rock beats (tags) Scissors, Scissors beats Paper, and Paper beats Rock. When a tag is made, the student who has been tagged joins the team who tagged them. The game continues until only one team remains. Here is how each player needs to run around to indicate what team they are in: Rock – place hands on own head. Paper – place hands on own shoulders. Scissors – place hands on own hips. If you would like the paper, scissors rock education break activities as a PDF, simply email me at dale@energetic.education and I will send them to you to keep with your other resources. This is the ultimate boot camp for new teachers who want to get their students moving. 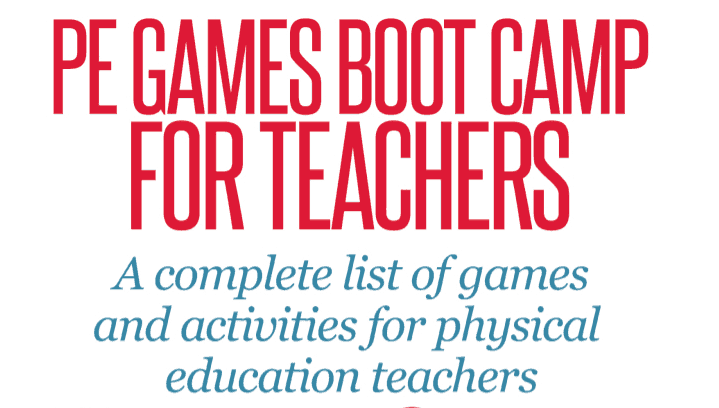 Fantastic new games and activities to engage their students. I have found over the years the best way to engage students and keep them motivated and on task is to constantly provide new games and activities to challenge them. The following five days each consist of five different categories of PE games that can be used with students of all ages. Hopefully you find these resources to be as amazing as I have when planning and delivering lessons. After teachers complete this boot camp they will have Twenty-five quality games that they can call on at any stage. 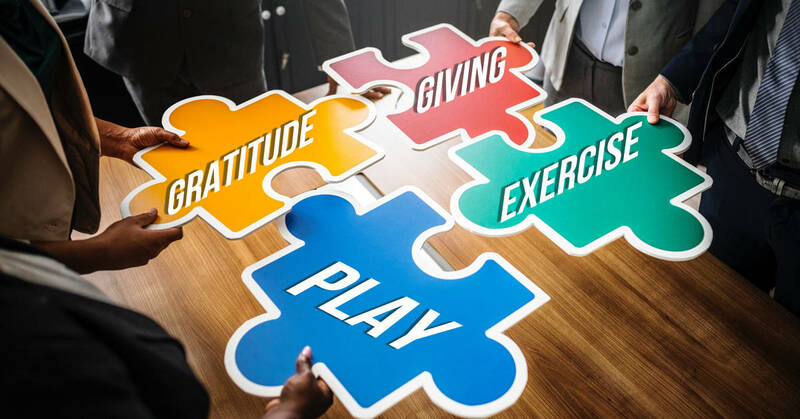 If you would like to find out more about the benefits of completing this five-day boot camp, or you would like to ask me any questions, email me at dale@energetic.education or on twitter @DaleSidebottom. Sing up below to receive the free games over five days.